Xamarin University has been hard at work building new content and features over the past month, and we're excited to unveil what's new since last month's update. iOS has an extensive collection of open-source and commercial components written in Objective-C – many of which are not available to C# programmers, but you can change that! Learn the basics of creating bindings to libraries written in objective-C and use them in your Xamarin.iOS app in our new course Building an Objective-C Bindings Library [IOS450]. This is the start of a new series we'll be expanding on throughout the summer – so watch for more courses on this topic! We also have several new course recordings available, so you can study your favorite Xamarin topic anytime. Speaking of recordings, we've also created two new Lightning Lectures that anyone can watch for free. Learn how to create reusable custom controls for Xamarin.Forms with Glenn Stephens in Creating Custom Controls with Xamarin.Forms. Next, check out our Customizing the Android Toolbar lecture, where René Ruppert shows you how to fully customize the Android Toolbar and the action menu by changing styles, adding sub-views, and providing your own layouts. If you take courses late in the evening, this un-lockable badge is for you. Complete an instructor-led or self-guided course between 8pm and 3am in your local time to obtain the Night Owl badge. 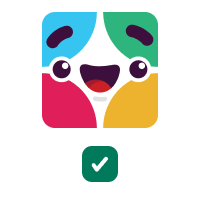 If you like to learn on the weekends, complete a course on a Saturday or Sunday in your local time to unlock our Weekend Warrior badge. The Xamarin University mobile app is now available for beta testing! 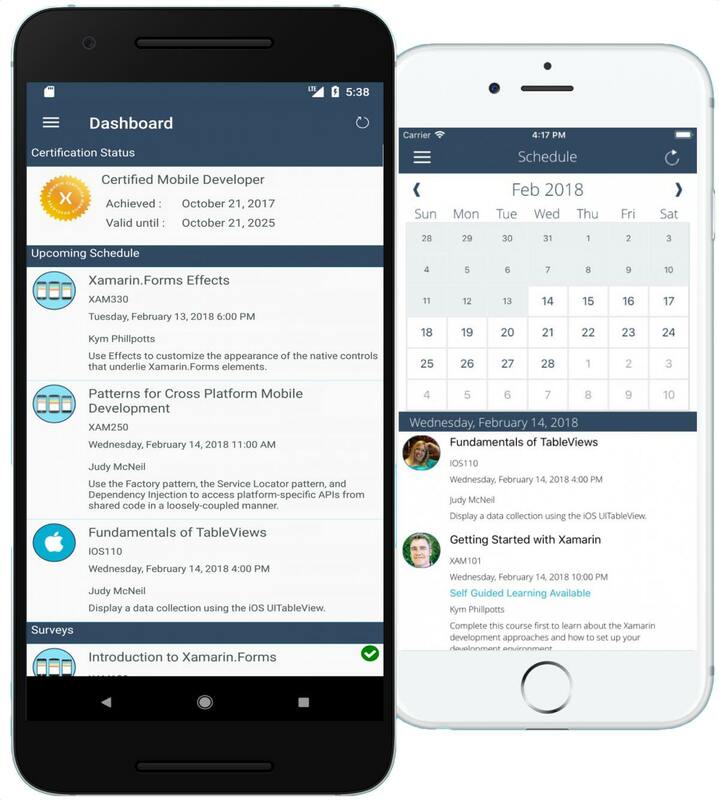 Download the mobile app to maximize your learning time by easily registering for upcoming sessions, requesting 1:1 office hour sessions with instructors, and tracking your progress while working towards Xamarin Certification. Additionally, consume great Xamarin University content while on the go - complete courses via our Self-Guided Learning portal and prepare for the Xamarin Certification exam by watching our course videos. If you run in to any issues, we'd appreciate if you can report them by emailing [email protected] or tweet @RobGibbens. Have Xamarin University questions or looking for some technical support resources while working on a Xamarin mobile app? Check out our new Xamarin University Support page to quickly find answers to common questions in our FAQ, resources for sales and billing support for Xamarin University purchases made on the Visual Studio Marketplace, and technical resources to help you troubleshoot and find support while working on a mobile project. On April 1, 2018, Xamarin University completely moved off Xamarin authentication and switched to Microsoft authentication for logging in; you should've linked your Xamarin University account to a Microsoft authentication by now. If you missed the deadline, you can still link your Xamarin University account with your Microsoft login credential. First, Connect with a Microsoft using the Microsoft account you'll be authenticating with moving forward; then enter the Xamarin email which you previously authenticated with and follow instructions on the page. Don't forget, Microsoft Build 2018 is next week (May 7th - 9th) in Seattle! Xamarin University will be delivering two instructor-led hands-on workshops. First, join Adrian Stevens and Mark Smith as they teach you how to build your first Xamarin.Forms app across the Android, iOS, and Windows platforms using C#, Visual Studio, and Xamarin.Forms. Then join Rob Gibbens and Mark Smith to learn how to add Azure App Service Mobile Apps, a cloud-based backend to store your mobile app data. You'll leave this workshop with some practical tips on how to leverage popular mobile Azure services, as well as running cloud-connected mobile app. We'll also be giving away printed copies of Charles Petzold's Xamarin.Forms book in both workshops so make sure to register for them in your session planner! Lastly, Xamarin University will be in the expo area near the Xamarin booth. Be sure to stop by and say hello to our staff, grab some cool swag, and tell us what you want to see next from Xamarin University. Hope to see you there!